El Jardín del Paraíso, the community garden that spans the block of Fourth Street to Fifth Street between Avenue C and Avenue D, has been closed since late last week. 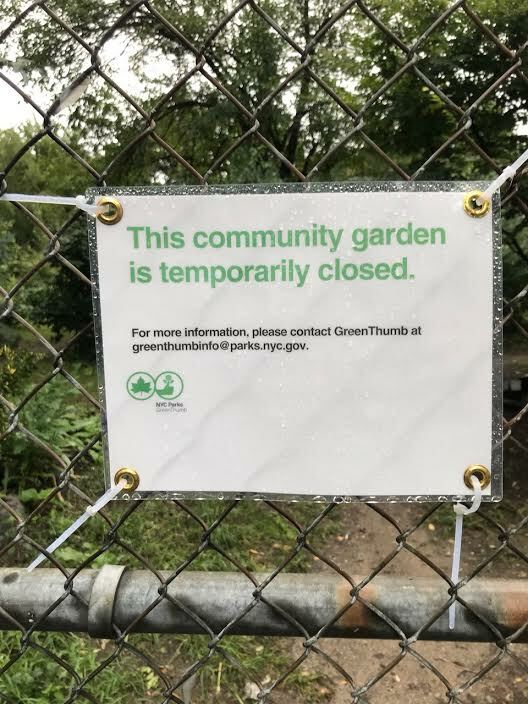 El Jardín del Paraíso has been closed temporarily at the request of the NYPD due to recent criminal activity in the area, unrelated to the garden. We hope to reopen the garden in a couple weeks. Thanks to @artisanmatters for the photo!